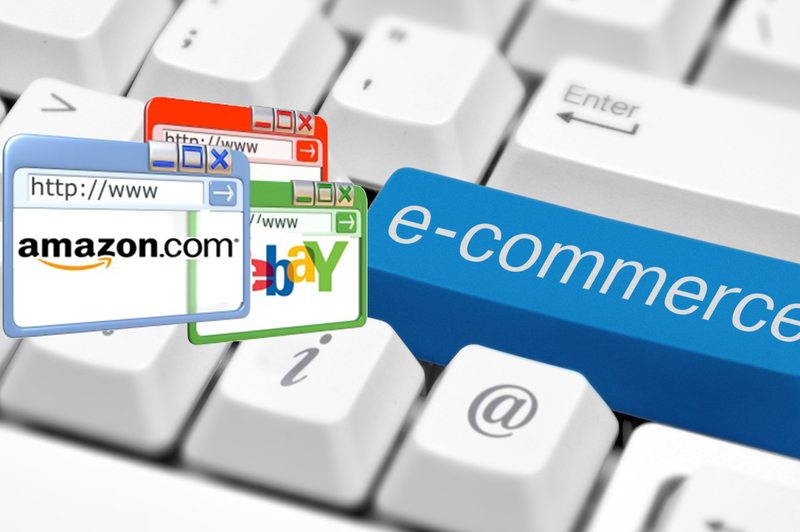 E-Commerce Discussions at WTO: More Neo-liberal Policies Negotiated in Secret? Richard Hill was heading the secretariat team in ITU for WCIT-12 held in Dubai, 2012. Documents submitted by states for discussion in the World Trade Organization (WTO) are not easily available to civil society. So I was surprised when I received copies of two documents that contain proposals that, if accepted, would appear to me to have far-reaching consequences. The documents are JOB/SERV/248/Rev.2 and TN/S/W/64. The first is from a group of states, mostly developed states, and the second is from the European Union (EU). Here are my thoughts on these documents. First, the scope of JOBSERV248 is such that WTO would take over essentially all aspects of everything related to Information and Communications Technology (ICT) policy. That would be a vast expansion of WTO’s mandate and scope. I thought that the TRIPs experience would have led people to stop bringing non-trade issues into WTO. Second, WTO is the least open and least transparent intergovernmental organization that I know of. The proponents of JOBSERV248 consistently insist that Internet governance discussions (and by extension discussions of ICT policies) should take place only in so-called multi-stakeholder forums. While there is some disagreement about what is or is not an appropriate multi-stakeholder forum, and whether corporations should hold the same authority as nation states in such fora, it is obvious that WTO is not at all multi-stakeholder. So I find it astonishing that the same states are proposing to discuss e-commerce in WTO. I realize that hypocrisy is common in international relations, but it seems to me that this is taking it to new heights. Third, it seems reasonable to assume that the purpose of the JOBSERV248 exercise is to negotiate the issues it mentions under the principles that (1) more free trade is always good and (2) data is just one more commodity that should be flow freely. Neither principle is correct. See my submission to the current open consultation of ITU’s CWG-Internet. The TNSW from the EU is even more stunning as an example of hypocrisy. The measures that they propose to combat spam (which are sensible) are far weaker than the measures that they refused to accept in the 2012 ITRs. Why propose in WTO things that they vehemently rejected in International Telecom Union (ITU)? Perhaps because the goal is to discuss matters on the basis of the principle that “free trade is always good” and in a setting where developed countries can exercise their economic power to obtain concessions from developing countries? Another obvious problem with the TNSW is that WTO would be duplicating or contradicting the work of other agencies. For example, it proposes that WTO should discuss electronic contracts. Why? The matter has been handled by UNITRAL. If more work is needed, then UNCITRAL should be asked to carry it out. TNSW asks WTO to handle a vast range of issues that are not normally considered to be primarily trade issues, e.g. consumer protection, spam, etc. As for JOBSERV248, it appears to me to be an attempt to move all policy discussions into a secret forum in which developed countries have a competitive bargaining advantage. In my view, discussing e-commerce in WTO is anathema because (1) it is not even a semblance of an open and inclusive forum and (2) it will surely result in a very bad deal for developing countries. Maybe US President Trump will be kind enough to oppose this, which will be the easiest way to avoid it. But I don’t think that he will. In fairness, I note at least one person who is familiar with WTO takes the view that I have misunderstood the scope, implications, and intent of the documents cited above. According that person, e-commerce discussions already take place in WTO, so there is no real expansion of scope; WTO would not duplicate the work of other bodies; it is not that difficult to obtain access to WTO documents; and one of the goals of the discussions is to improve consumer protection. Needless to say, I am sceptical, in particular in light of well-known criticism of WTO. The main work that is happening at global normative and law making stages is to ensure that data flows freely everywhere, countries are not able to put technical regulations that would restrict its flow, and so on. Basically for countries to not only not regulate big data business now, but also to take away preemptively any possibility to do so even in the future. That is the key point of the e-commerce discussions in WTO, and at the plurilaterals (TISA, etc.). Is this our biggest normative and legal need right now, in the face of how big data and digital intelligence is being used by big business around us? To further facilitate their path!? But if trade forums are the main, perhaps only, ones where digital issues are being discussed with any seriousness we will only get more easements for big data business, while we can keep shocking ourselves with eye-opening articles. Soon we will get too numb to be further shocked any more, and accept these things as reality and common-sense. We are refusing to see some simple and clear facts in their face. We all accept that data is basic to the economy now, and even call it data economy. But we also know that almost all data and digital intelligence is corporate owned (mostly by a few big ones), and almost all of it is unregulated. And we deliberately turn a blind eye towards this most important contemporary fact, allowing the new data and digital intelligence based economic and social structures to set up and concretise around us. The actors who are in a position to do something about it are afraid to touch the key political economy issues, because they are afraid that anything said or done against the dominant corporate model of data/ digital intelligence economy may not serve their class and geopolitical interests. This one thing has caused the political paralysis we find ourselves in. The way out is simple: to recognise that data/ digital intelligence economy needs to be regulated, and draw its basic principles of regulation. Further, like the physical economy, it has to be a mixed economy and state/ community must own and runs some key parts and sectors of the data economy. Thereupon, draw the basic political economy lines of the new mixed economy of a data and digital intelligence driven world.